If you thought Google Project Fi is just another usual carrier like Verizon, AT&T, and T-Mobile, you should keep on reading this. As many may know, Project Fi is a Google-owned wireless service that is basically meant to be used on the company’s smartphones, including the Google Nexus 6P, Nexus 5X, Nexus 6, Pixel and Pixel XL. 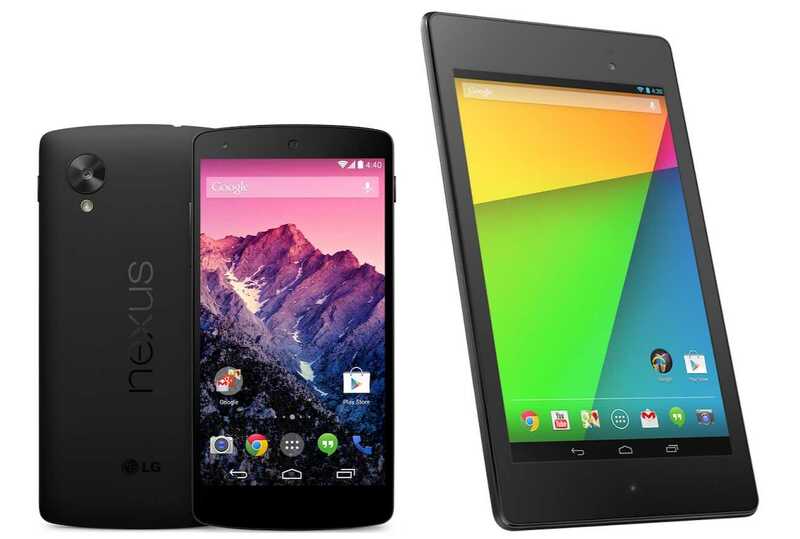 This is a limited set of devices, especially since the company has the likes of Nexus 5, Nexus 7 and Nexus 9 out there. The carrier, however, is somehow unique in that it seamlessly switches between several networks – T-Mobile, U.S. Cellular and Sprint – and by doing so, it ensures that you always get the best connection regardless of where you are. Google Project Fi gets even better as it taps into public Wi-Fi hotspots with reliable connections, allowing you to access the internet without touching your cellular data. If you are worried about the security of these public Wi-Fi networks, well, Google says that the service is protected by it’s own VPN. Project Fi users are only charged for the amount of data they use per month. This rate remains the same, $10/GB, even when roaming in other countries where the service is supported. If you don’t exhaust this 1GB allocation, Google will refund you the balance in monetary form. You can then top up the remaining balance to buy another 1GB for $10 during the next billing. If you use more than the allocated 1GB in a month, Google will charge you the equivalent of what you have used with respect to the $10/GB terms. So, if you use an extra 1GB, for instance, you will have to pay an extra $10 when getting the next subscription. This is in addition to a fee of just $20 per month that gives you unlimited calls and texts when treading local grounds. If you are not such a heavy user of internet or you spend most of your time in public places that are stocked with Wi-Fi hotspots, you can save a lot by using Google Project Fi. The carrier recently added group plans to its services, allowing up to six people per plan. The additional members only pay $15 per line, but the data charges remain at $10 per GB. By now, you should be thinking of Google Project Fi as a not-so-usual carrier like the many you know, right? If you are still on NO, well, there is more in store for you. Last year, Google debuted a data-only Project Fi SIM that, guess what is tied to the same account that you already own. Think of it as having two SIM cards with the same phone number – cool huh! But it gets even better. Apparently, you can have not just one data-only SIM card, but Google allows you to have up to nine data-only Project Fi SIM cards. So, why the need to have an extra data-only SIM card? Many people probably own an LTE tablet or even have laptops with SIM card slots. There are some who still have old phones in their repositories, phones that they may find handy when it comes to making those morning runs, hitting the gym or even biking – you know, the kind of stuff where you would find it quite cumbersome to handle your huge Google Nexus 6, Nexus 6P or even the new Pixel XL. Furthermore, you wouldn’t want to drop that Pixel XL phone on a rocky surface somewhere when on that hike or run – it would feel much better to drop a device that isn’t so dear to you or may probably cost you a few of dollars to get it fixed. With a Google Project Fi data-only SIM card, you can carry that old phone and still access all of your emails, tweets, Facebook, Snapchat and so on. Being a data-only SIM card, you are only limited to data services. The good thing is that you don’t have to dig into your pockets for another data plan – the SIM card, as noted earlier, is tied to your existing account, thus, it uses the same $10/GB package you already paid for on your Nexus 6P or Pixel XL. Now that there are group plans on Google Project Fi, you can also order data-only SIM cards for the rest of the members since there is room to include up to nine SIM cards. These cards will be using the same data plan that you already pay for. With a data-only SIM card, you can get that tablet or laptop connected to the internet without paying extra fee for data. You also get the same internet speeds on all devices. If you have that extra device in your house, be it a Nexus 7 LTE, Nexus 9 LTE, iPad Pro, Galaxy Tab S or even a Galaxy S4, among others, and you already have a Google Project Fi account, you can order a free data-only SIM card directly from the Account tab>Your Plan and then select Add data-only SIM. Setting up is easy. Simply follow the on-screen instructions and you will be good to go. But as you may know by now, this data-only SIM card will not give you the full functionality of the standard Project Fi SIM card. The data only sim ONLY uses the t-mobile network. It does not do the multi carrier Fi thing. You can also make phone calls using Hangouts. Just add the same Google account and the second phone will ring simultaneously with the Project Fi phone. Or you can add a different Gmail account to Hangouts and have the phone ring on a second Google Voice number. Hangout can make & receive calls, send & receive sms with a Google Voice number just like a normal phone on 4G alone. That’s a group plan at $0 instead of $15. You still need a Google phone though to start the process. I have often wondered if the Project Fi Chip would work in a Verizon Hotspot device. The website says that it works wi all the 4G LTE devices but I think Verizon locks its devices. Anybody know? I don’t want to order a free Project Fi Micro chip just to find out, when the phones I use all have the newer Nano size SIM chip. The section about the data usage seems wrong to me. If I pay for $10/GB and use 1.5GB, I do not have to go up to 2GB the next month as your article suggests. I just pay the overage, $5 in this case. We have project fi and we got a data only sim for our iPad air 2. It only works on T-Mobile. We can make hangouts calls with any of our Google voice numbers. Note, if you have fi and you want to do this to make calls with a separate Google voice number you will need to have a GV number already set up. Google will not allow you to set up a GV using a number that is active on project fi. I bought a 6P early spring 16 and felt I was lugging around a TV on my hip. It was an obvious mismatch for me needing inconspicuous carry portability,and voice responsive texting/tele(phony). I tried very hard to justify this device, screen was fantastic but I don’t play games, I use it for work, YouTube instructive presentations were sharp visibly and very crisp sound wise, a great phone but way too BIG. Before I returned the 6P and ditching Project Fi, which network I just LOVED, worked almost perfectly for me EVERYWHERE, I inserted the Sim card into my Moto X ver1. My Moto X ver1 worked fantastic for me in th every beginning the small earpiece was totally comfortable with great mic and speaker abilities…but ALAS the “Powers That B” (PTB) who know WAY MORE THAN I, IMPROVED(?) the phone and the ear bud…much like the Sprint Spectrum improvements that turned a WONDERFUL phone and only functioning network into dead piece of electronics. Getting back to my quasi-experiment, I inserted the Project Fi SIM into my MotoX Ver1 and the Project Fi moniker showed proudly in the upper corner and I was still making calls, texting and doing whatever for a short time till I returned the SIM and 6P back to Google, who took a unreasonably long and worrisome time to credit my accounts. Project Fi SIM worked with my MotoX ver1 and I wished I would have kept the SIM card and dumped Republic Wireless which has had a BIG problem switching twixt Cell and Wireless these past few months.